Sounds like a fun swap and the cards are beautiful. I really enjoyed this swap too! I think I received over 60 cards and it was so nice to see that Dwain was excited to see where they all came from each night. What a lovely idea! Which Message Board was this from?? My mailman got a kick out of all the cards we received this holiday season. 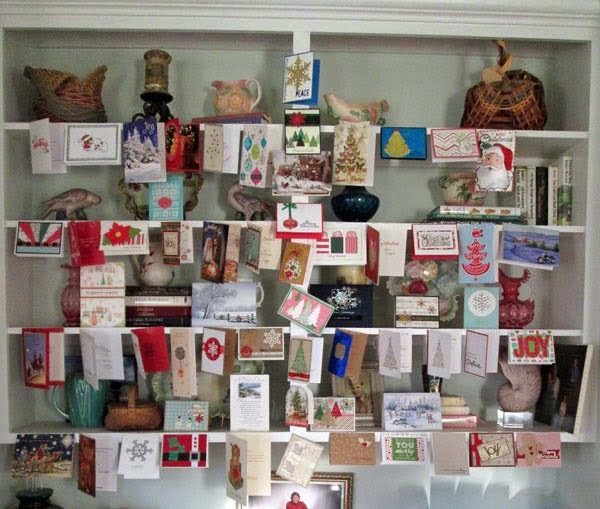 I received 63 from the Christmas card exchange and 75 from friends and family. It was really fun go sit down everyday and open the mail.